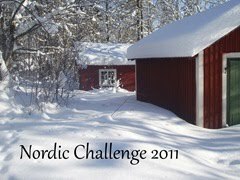 THE HIDDEN CHILD is the fifth book centred around the summer tourist town of Fjallbacka on the west coast of Sweden featuring police detective Patrik Hedstrom and his true-crime writing wife Erica Falck. In this outing Patrik is starting paternity leave to look after the couple’s daughter Maja while Erica is looking forward to getting back to work and engaging in more adult intellectual pursuits after a year of looking after Maja herself. However when a dead body is discovered in town on the first day of Patrik’s leave he cannot resist the temptation to take a look at the crime scene, even though it means bringing one-year old Maja along. Erica is a bit miffed with Patrik for taking their daughter to a crime scene and for failing to grasp that looking after Maja does not mean leaving their daughter at home with Erica while Patrick goes shopping. But she too is soon interested in this crime as the dead man turns out to be the historian whom Erica visited when she discovered a Nazi war medal among her dead mother’s possessions. In fact the past has a particular pull on Erica as she also discovered some diaries her mother had kept as a teenager during the war years, and Erica keeps putting aside her own work to read the diaries in the hope they might provide some insight into her mother’s neglectful treatment of Erica and her sister Anna. When it becomes clear that Erica’s mother was friends with the historian who has now been killed Erica becomes involved in the investigation too. From a criminal plotting perspective this is probably Läckberg’s best novel, incorporating two strong plots. The contemporary plot to determine the murderer of the historian is well thought out and doesn’t involve nearly as much police incompetence as the previous novels (though there is still a little). All the small police force play useful roles, including new recruit Paola who seems to fit in well, and the case explores some interesting issues including the rise of neo-Nazi groups in modern Sweden. But perhaps the book’s biggest strength is that this storyline links to a second one taking place in 1943-45, involving the recently killed historian, his brother who spent time as a prisoner of the Germans and several other Fjallbacka residents including Erica’s mother. Eventually the solution to the present-day crimes is located in the past though the nature of the connection is well hidden until the end of the book. While the family lives of the characters in this series have always been a feature of the novels that I have enjoyed I do think this instalment went a little overboard with the minutiae of characters’ lives. Certainly not all the children are hidden in this novel. In fact the thing is teeming with pregnancies (five), births lengthily described (two), and assorted toddlers and teenagers not to mention yet another love interest for Patrik’s romantically unlucky boss Bertil, an encounter with Patrik’s ex-wife and assorted other minor dramas. It doesn’t feel like Läckberg has held much back for inclusion in the next instalment (aside from several more births I suppose). I do generally enjoy the lighter side of these novels though and it was nice to read a book in which pretty much everyone has a family life in the normal range (i.e. no dramas that can’t be sorted out with a good chat and no alcoholic/near suicidal loners lurking underneath the covers). Overall then I enjoyed THE HIDDEN CHILD and thought the translation up to the usual good quality even though duties have switched from Steven T Murray to his wife Tiina Nunnally. 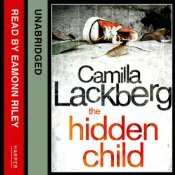 I think it interesting that my two favourite mysteries to be solved by Läckberg’s fictional characters are the ones where Erica takes more of a central role in the investigation (my other favourite is the first book in the series, THE ICE PRINCESS in which Erica really takes centre stage) and wonder if she’ll continue taking more of a proactive role in future novels. Bernadette – An excellent review, for which thanks. I agree with you about Erica taking on a central role. I like that aspect of The Ice Princess, too, and I’m glad it’s in this one as well. And isn’t it refreshing not to have a hopelessly dysfunctional family to read about from time to time? This is a series which I have not been able to figure out. I tried to read one book but thought the writing was very simplistic and didn’t include any thoughts in which I was interested. I may give it a second chance and check out this book. I certainly didn’t find this one simplistic Kathy…interesting look at Sweden’s interactions with Germany during the war and afterwards plus the modern social issue that all countries seem to be struggling with – immigration / foreigners / people who don’t look like us. I found the historical (flashback) aspects of The StoneCutter very simple-minded, perhaps that was it. Thanks for this review. I was trying to think of this name while at lunch the other day. Friends were talking about Nordic writers (they are Latvian – I wonder if there are any Latvian crime writers?) anyway, we ended up talking about Sweden and Swedish writers etc It’s interesting how the focus is now on Scandinavian and Icelandic writers. Stieg Larsson has done Nordic writers a great service. I liked this book, perhaps not as much as ‘The Ice Princess’ but it was an enjoyable read. I have just received an ARC of her latest out on March. I am so excited but I’m going to leave it until Feb to read. I liked this, too- best in the series since The Ice Princess (like Sarah I think the best one so far as not quite so domestic!). I liked the strong double plot here, and the fact that Erica gets places other investigators don’t by being a nice person. I agree about the baby overload but actually I did not find that as annoying as the constant winking that they all do here! Is this a Swedish habit I wonder? They did not seem to wink in earlier books. The fact that the characters have normal, non-dysfunctional family lives is enough to make me want to start this series; I get so tired sometimes of books where all the relationships are so dysfunctional and distorted and dramatic. Arnaldul Indridason’s book Outrage features a main character, a woman police inspector, who is very functional, is happily married and has a family (teenage angst is in play here). Anne Holt has a series featuring a woman criminal profiler who has a normal family life. Yrsa Sigurdardottir’s series features a woman lawyer who has children. Although their family life is a bit unusual, it’s not dysfunctional. And Helene Turston’s Irene Huss series also has a “normal” family life. I have 3 of Lackberg’s series and thought I should get going with the first one, the Ice Princess. As always an insightful review Bernadette and I’m eager to get on the series now. Like most other commentators, Ice Princess was a great novel and sucked me into the Erica Falck sagas. I do like them, even though they are a light read. Look forward to this one which is in my TBR pile. I don’t recall any habitual or involuntary winking in previous novels either….